1. Research on monk seals, individual identification, population and distribution. 2. Determination of habitats, coastal caves and core areas on coasts. 3. Analysis of threats to monk seal and its habitats. 4. Interviews with local people with special emphasis to local fishermen to obtain 1st hand monk seal sightings.Observation of monk seals in their habitats constitutes one of the most prominent research method. Researchers usually observe Mediterranean monk seals in their habitats far from the human activities and inhabited coasts. As it is impossible in terms of money, time and staff to observe all the habitats of the Mediterranean monk seals at the same time, studies are carried out in specific areas selected. Besides this, it is of vital importance to assess the current distribution of the species by interviewing with staff of diving centers, artisanal fishermen, amateur fishermen and spearfishing divers and coast guard personnel and compiling all reliable monk seal sighting details. 2. Conservation: Lobby activities are initiative of the conservation studies. The concerned governmental bodies was reccomended management plans, conservation suggestions and legislation studies as a result of holding bilateral meetings or interviews or multilateral meetings. Lobby activities are used to affect political mechanism and make them act. SAD-AFAG attaches importance to legislation and lobby studies as much as field research. AFAG creates information and scientific data and turns these data into documentation, project and action; examines all the legislations concerning with national and international on Mediterranean monk seals. Besides these, AFAG pioneers to conserve the nature and the species. The purpose of the lobby activities is that; in what rate these legislations applied in national and international scale and to control whether the existing draft bill works or not. According to the datas obtained, views and proposals are conveyed to the concerned people and the governmental bodies. By putting decision making mechanism into action, AFAG aims a more effective coastal management. AFAG also believes that decision making bodies should benefit from the views of people from different segments of the society and be more sensitive towards the public opinion on the investment or development projects on natural areas in Türkiye. 3. Public awareness and education: Together with the lobby activities and legislation studies, AFAG carries its study to manufacture public opinion and attract the attention of public with the tools of media and press. Moreover; with conferences, campaigns and studies managed by other non governmental organizations, it aims to inform public and all the organizations and institutions Our organization carries out informing studies in many places with the aim to reach cleaner coasts and create environment-concious public. AFAG manages information studies in such holiday villages as Karaburun, Foça, Bodrum, Fethiye, Kaş, Kemer, Aydıncık and Bozyazı to make tourists and natives aware of the Mediterranean monk seals and their habitat. AFAG also executes studies to raise awareness in such crowded cities as İzmir and Ankara. 4. 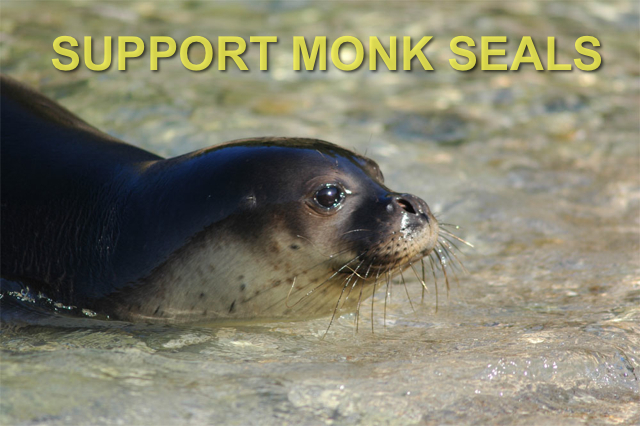 Rescue and rehabilitaion of sick/orphaned seals: SAD-AFAG has been monitoring and providing assistance for the sick or injured or orphaned monk seals or performing necropsies for dead monk seals along Turkish coasts since 1991. Until now, necropsies have been made on eight dead monk seals of which some of them were found dead while others died just after they were found in the original place. And two monk seals were rescued and rehabiliated succesfuly after which released back to nature, one in Aliağa, İzmir area and the other in Gökova Bay, Marmaris area. SAD-AFAG staff Harun Güçlüsoy and Ozan Veyeri and Foça Municipality veterinary Dr. Avni Gök were trained in Lenie’t Hart Zeehonden Creche in Pieterburen, Netherlands in 1990’s regarding rescue and rehabilitation of seals. SAD-AFAG performed an ex-situ monk seal pup rehab project and several necropsy studies with with LH Zeehonden Creche and also developed AFBIKA (Monk Seal Information & Rescue Network) in Türkiye in 2005 and this program has been enhanced since the establishment. More than 140 members along several coastal parts in Türkiye agreed to be partner in this important program. Members to AFBIKA program of SAD-AFAG reports live or dead monk seal sightings through a GSM hot line working 24 hours basis (+90.533.488 5858).